This summer, Knott’s Berry Farm’s Ghost Town in Beuna Park, California will celebrate its 75th anniversary with the new interactive entertainment experience, Ghost Town Alive! Anaheim Majestic Garden Hotel. One Majestic Year in the Making. 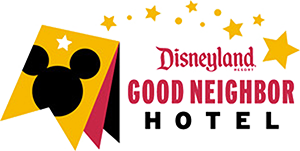 It feels like just yesterday we were designing new logos, staff uniforms and mission statements for the Anaheim Majestic Garden Hotel; that and just about every other decision that comes with a rebranding of hotel. Now we are making plans for an amazing One Year Anniversary Celebration. Where did the time go? Anaheim Majestic Garden Hotel is very excited to announce that our main building hallways and elevator landing areas are completed. A Disneyland® Park Resort Date Night Romance may not be the first thing that comes to mind when you think Disneyland® Resort, but romance can be found all over the Disneyland® Park if that is something that you are looking for during your visit in California. There are several ways to be romantic at the Disneyland® Resort.